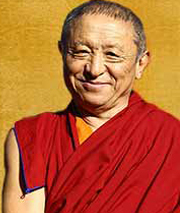 Chokyi Nyima will introduce the participants at the retreat to this natural state. He will give simple but powerful guidance that allows students to train, step by step, in unfolding their innate compassionate nature. The Garrison Institute is a perfect setting to allow retreat participants to learn how to bring this practice to life in their every day experiences.